THREE new visitors to White Street mall are catching people’s attention, as three 2.2 metre sculpted bunnies have hopped into the area. 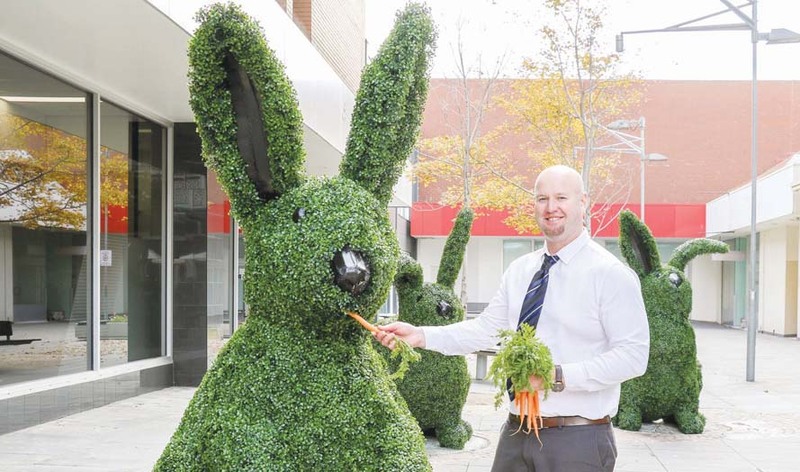 The giant rabbits are part of a competition organised by council, who are offering $100 for the best picture taken with the sculptures and posted to Instagram during the month of April. “Make sure you upload your photos to Instagram using the competition hashtags for your chance to win this month. One lucky winner will win $100 for their Easter themed snaps with the bunnies using the hashtags #VisitFrankston and #EnjoyEveryBunny,” he said.